The miracle growth of the Chinese economy has decreased from a compound annual growth rate of 10% to less than 7% in 2015. The two engines of growth - export on a scale never before witnessed and massive infrastructure investments - are reaching the point of diminishing returns. 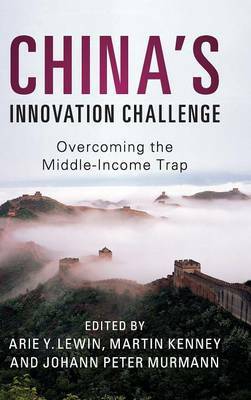 This poses the central question which is explored in this book - can China escape the middle-income trap? Assuming current political arrangements remain unchanged and that it does not or cannot adopt Western sociopolitical economic regimes, can China develop an indigenous growth model centered on innovation? This compilation gathers leading Chinese and other international scholars to consider the daunting challenges and complexities of building an innovation-driven Chinese growth model. Providing several comprehensive perspectives, it examines key areas such as the institutional system, technology, sociocultural forces and national policy. The analyses and their conclusions range from strong optimism to deep pessimism about China's future.